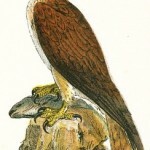 An ever-growing collection of public domain illustrations of birds of prey. 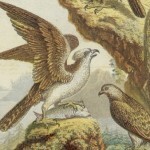 These vintage drawings and illustrations are of that class of birds that are meat eaters and prey on smaller birds and animals. Their sharp beaks and sharp claws or talons make birds of prey fairly easy to distinguish from other birds. This is the place to check if you are looking for vulture pictures, hawk images and kite drawings for your creative projects. Eagle images have their own section; be sure to check it out too. 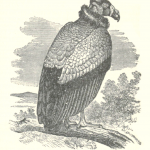 King vulture drawing from 1887 by F.W. Frohawk. 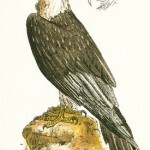 Vintage encyclopedia image showing the large bird of prey sitting on a tree branch. Birds of prey drawing with a variety of different birds. 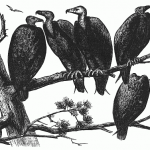 Black and white drawing of a group of buzzards. 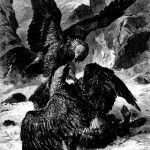 Dramatic birds of prey drawing of a pair of vultures fighting over food. 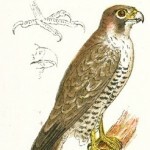 Vintage illustration of a peregrine falcon perched on a branch. 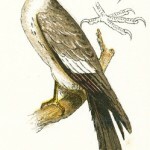 Vintage, full-color drawing of an osprey or fish hawk. 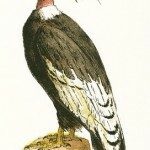 Full-color drawing of a california vulture. 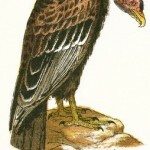 Copyright free bird of prey drawing of a vulture. 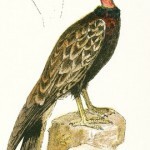 Copyright free, full-color, vintage drawing of a turkey buzzard perched on a rock. 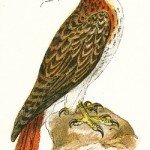 Vintage colored drawing of a red tailed hawk. Vintage colorized illustration of a bearded vulture.